I’m always interested in the future of economics and, in particular, ways of adapting our world to deal with post scarcity economics. Nearly any book or paper on post scarcity economics, at one point or another, has to reference the most detailed known fictional example: Star Trek. So, when Manu Saadia’s new book, “Trekonomics: The Economics of Star Trek” was published, it went on my reading list immediately. If you’re not familiar with post scarcity economics, it’s basically the future we’re headed towards, whether we like it or not. Industrialization, mass-production, 3D printing, nano-technology, automation, robots; all these things continually drive down the cost and scarcity of many goods and services. This is interesting because for the past few hundred years, all our economic models have been based around solving the so-called “economic problem” – that is, finding ways to allocate scarce resources to meet human needs and desires. The two favorite solutions to the economic problem, capitalism and communism/socialism, have developed religious-like ideological followings. Pure capitalism relies on the collective action of everyone’s individual greed to allocate resources. Communism and socialism rely on central planning to allocate resources (the difference is that Communism is the result of a revolution from capitalism, while socialism is an evolution of capitalism). In the real world neither method has ever worked well in its pure form, though capitalism comes the closest. Attempts to rely solely on central planning have always failed unless some elements of individual freedom of action are incorporated. Likewise, attempts to rely solely on capitalism fail unless certain elements of central planning are incorporated (e.g. minimum wages, banking regulations, etc). But, however you mix the two, the goal is always to solve the economic problem of resource allocation. What would happen if that problem went away? 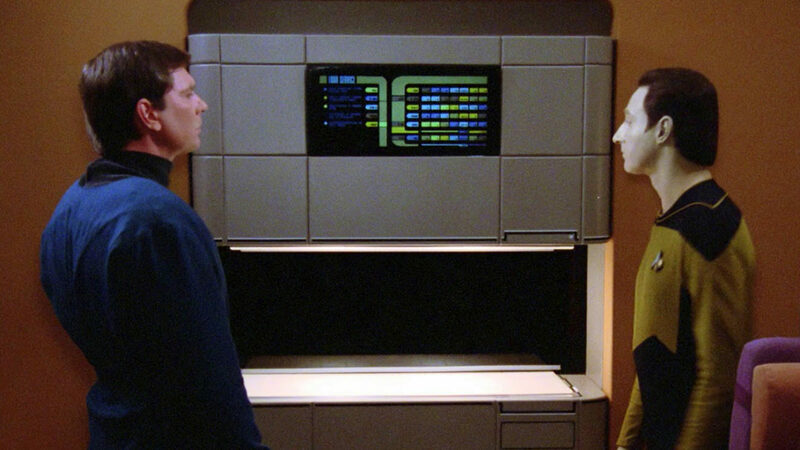 In the Star Trek universe the problem of resource allocation largely doesn’t exist. For the most part, anyone can obtain anything they want, any time they want, at no cost beyond the energy required to replicate it. Obviously the real world isn’t there yet but we’re headed that way. In economics, an externality is something that doesn’t come into play when calculating supply and demand – the cost of goods and services. For example, GPS is thought to be the first man-made service to be an economic externality. It exists all over the Earth and anyone can use it at no cost. No one has to worry about how to allocate GPS service as a resource because there is never a shortage of it and the very idea of supply vs demand is meaningless with regard to it. When many goods and services become as ubiquitous as GPS, what happens? Obviously, the two primary systems we’ve relied on in the past, capitalism and communism/socialism, would also become meaningless at that point. Supply would tend toward infinity while cost, labor, and employment tend towards zero. Some kind of new economic system is needed to cope with a world like that, but what? Answering that question is what post scarcity economics is all about. Economists are just beginning to speculate on this sort of thing but science fiction writers have pondered it for decades. Star Trek’s Federation of Planets is the most detailed and well-known example of a fictional post scarcity economy. There is no money. No one is paid to work. Goods have effectively zero cost because they can be replicated at will by anyone. This sounds crazy at first to many people. Why would people work if they’re not paid? How could anything get done with no money? Trying to understand how such an economic system could function is what economists are after. Studying Star Trek’s model has proven to be a good starting point. Many people mistakenly think Star Trek portrays a communist or socialist government. But there are many clear examples showing that this is not the case. There is no prohibition against private property. For example, the Picard family owns and operates a vinyard that produces fine wines. Anyone is as free to start any sort of business enterprise as they are under a modern capitalist system. For example, Joseph Sisko operates a restaurant in New Orleans. There is no prohibition against anyone having or using currency if they want to, it’s just unnecessary within the Federation itself. When dealing with alien races outside the Federation, for example, various types of currency have been used. But who runs the Federation economy? Star Fleet itself relies on central planning in the same way any large organization does but the Federation of Planets appears to do very little Federation-wide economic planning as there is simply no need for it. 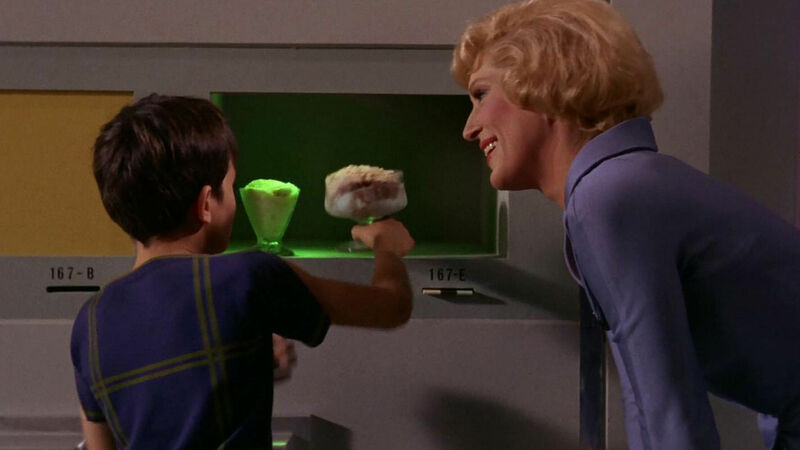 However, there are a few things that can’t be replicated even in the Star Trek universe, such as dilithium crystals or certain medical compounds. There are upper limits on production such as the number of starships that can be built per year. So the government does have a few things to keep it busy. But, otherwise, little central planning or control seems to be needed. This brings us to Trekonomics. Unfortunately, you aren’t likely to learn as much as you might wish from this book. Despite the promising title, it’s mostly written from the point of view of someone who doesn’t really “get” the show, or at least is only interested in one particular incarnation known as Star Trek: Deep Space Nine. The author goes to some lengths in the final chapters to point out that he really thinks Star Trek and all science fiction is ultimately a waste of time. The author believes space travel itself is pointless, and that even leaving the Earth to visit Mars is misguided. He’s really only interested in the economic principles. Sadly, he never really gets around to talking much about the economics. The majority of the book is a collection of personal anecdotes and lengthy retellings and paraphrasings of various Star Trek episodes that had an impact on his economic thoughts. Other than an introduction in which he describes post scarcity in general and a description of how Star Trek’s replicator effectively reduces the cost of goods to zero, there’s very little useful information. At the end of the book, you’ll know his favorite Star Trek characters, his favorite episodes, what he thinks of Elon Musk, where he got his first Isaac Asimov book, and a dozen other bits of useless trivia. But you won’t know much more about the actual economics of Star Trek than when you started. However, I didn’t write all this just to tell you the book sucked. Rather, I’d like to point you to an alternative to the book. Rick Webb has written a good sized document titled, “The Economics of Star Trek” that does an excellent job of looking at all the economic clues we can discover from Star Trek. He even speculates a bit on how such things could actually work in a realistic economic system, something Saadia doesn’t even attempt in Trekonomics. And one last tidbit. You may want to check out one of the earliest predictions that the world is headed towards a post scarcity system. In 1930 economist John Maynard Keynes wrote a paper called “Economic Possibilities for our Grandchildren“. Saadia mentions the paper in Trekonomics but doesn’t really go anywhere with it. Keynes notes in his paper that while scarcity has long been the fundamental assumption of economics, by 2030 we may be facing a world in which wealth and automation have rendered the economic problem solved. He predicts that capitalism will get us there but that it will be forced by technology to evolve into something else afterwards. He predicts that humans will have to adjust to a new lifestyle in which money is not important and the love of money will be viewed as a sickness. And finally he predicts that economics will become a mundane field as a result. The one flaw in his vision is that he assumed capitalism would continue following the path of classic enlightenment liberalism, as it did in his time. If we allow economic inequality to grow rather than decline, his predictions will fail. It seems to me that capitalism has gone off the rails in that regard and is leading us toward disaster. We may still reach a utopian economic system like that of Star Trek but it may have to be by another route such as democratic socialism. Or, maybe it’s not too late to reform capitalism. It will be interesting to find out.